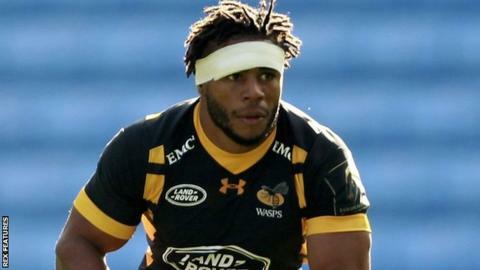 Wasps centre Kyle Eastmond will miss the rest of the Premiership season after tearing an Achilles tendon. Eastmond will be out for six months after having surgery on the injury, which he suffered in the first half of the win over Gloucester on 26 February. The 27-year-old made 16 appearances for Premiership leaders Wasps this season, scoring two tries. "Kyle will be a big loss for us as we go into this last part of the season," director of rugby Dai Young said. "It's obviously really disappointing for Kyle that he will miss the rest of the season, and I really feel for him because it came at a time when he was really starting to find his feet in this side and get a good run of games."